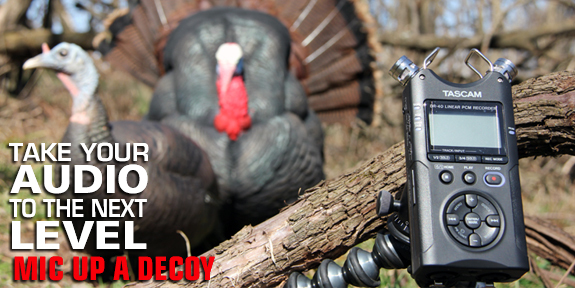 Why not take your audio to the next level by placing a Handheld Audio Recorder by your decoys to really pick up them gobblers! It's as simple as that! the audio will be captured through the handheld audio recorder via an SD card. This gives you a separate audio track for you to mix in while editing your turkey hunt. You can really make the turkey's come to life to the viewer with this audio! Item Reviewed: Mic Up A Turkey Decoy 9 out of 10 based on 10 ratings. 9 user reviews.